For all bolt action & single shot firearms, or any firearms with straight line access to the chamber. This model is preferred as it is most precise & user friendly. One of the best kept secrets in accurate reloading is precise bullet seating depth. Regulating seating depth and the resulting 'jump' to the rifling is widly regarded as fundamental to improved accuracy. A few thousandths of an inch change between the bullet & the rifling can make the difference between just-so accuracy & real tack-driver performance. 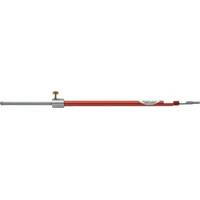 The Lock 'n' load Overall length gauge is universally acclaimed as the most accurate, easy to use & reliable method of obtaining that critical relationship. To use the OAL gauge, you will need to purchase a modified case to fit your firearm's chamber & thread it on to the gauge. Hornaday offers interchangeable modified cases in all common sizes from .17 Rem up to & including .45-70 Govt. These specially designed prepared cases are threaded at the case head & have a .002 oversized neck to accept the same bullets as you intend to load. This is critical, as the Lock 'n' load OAL gauge dimensions obtained will be accurate to .001". Results such as this cannot be obtained with competative products, which use a simulated bullet with an arbitrary shape. For all semi-auto, lever action or pump action rifles. Also fits all bolt action & single shot rifles. Inserts in to chamber through ejection port. If the caliber you require is not listed, we may be able to special order one for you. To find out if this is possible, please email with your requirements. Precisely measure case and bullet length, inside and outside diameters, primer pocket depth overall cartridge length and more with Hornady’s Dial Caliper. Includes protective case. 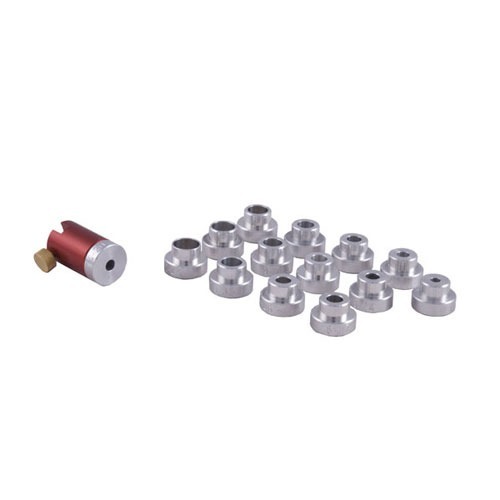 Designed for use in the Lock-N-Load Headspace Gauge, these bushings are machined to exacting tolerances to ensure reliable results every time you use them. The Lock-N-Load Headspace Gauge allows the reloader to precisely measure cases while sizing them for a perfect fit in any firearm. Click on more to view sizing chart. 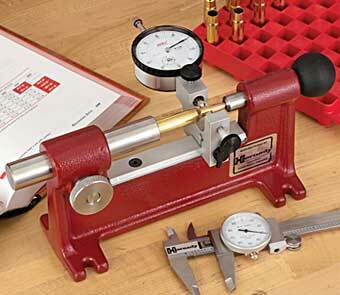 The Hornady Lock 'n' load headspace gauge is the best method to extend brass life, improve accuracy & enhance safety. 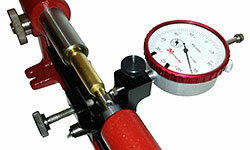 The gauge measures variations in brass before & after firing or re-sizing. It allows for head space comparison between fire-formed brass & your re-sized brass. Any of the five interchangeable bushings are attached to your caliper using the same body as found on our bullet comparator. The five bushings that come with the Hornaday Lock 'n' load headspace gauge provide the ability to check most bottleneck cases from .17 Rem through to the belted magnums. See chart below for size details. Measuring cartridge lengths accross the bullet tips is not a reliable (or repeatable) method for measuring your loaded rounds. It's common for variations of up to .025" to exist from one round to the next. The Hornaday bullet comparator solves the problem by measuring rounds from a reliable surface on the bullet - the ogive - to provide consistent, precise measurements of your rounds. 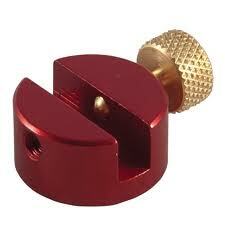 The bullet comparator is also used to check uniformity if bullets from base to ogive. Optional anvil base attaches to the caliper blade for this purpose. 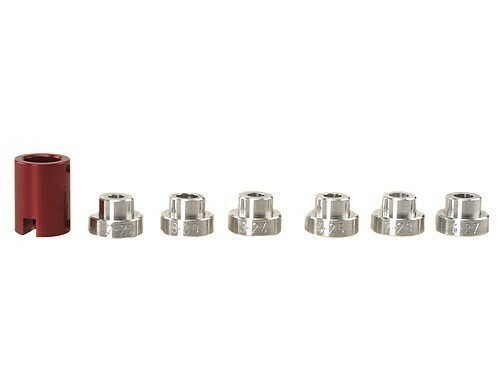 The Hornaday bullet comparator easily attaches to the blade of your caliper with a thumbscrew and uses interchangeable bushings to measure from the bullet ogive. 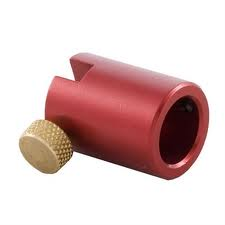 These bushings are available in fourteen sizes from .17 to .45 caliber. 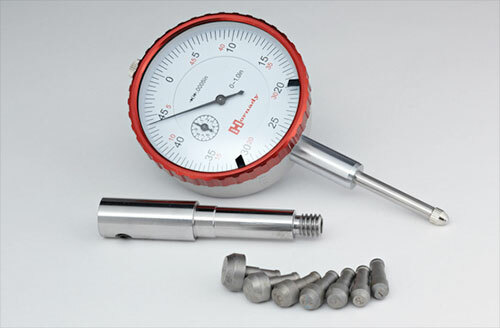 Used in conjunction with the OAL gauge, the bullet comparator provides the ultimate in precision measurement. The bullet comparator will properly align the OAL gauge for precise measurement using your caliper. This method allows direct comparison of your loads as you set up your bullet seating die for any selected bullet free travel (jump). 1- 22 cal | .224"
4- 25 cal | .257"
6- 270 cal | .277"
9- 30 cal | .308"
13- 338 cal | .338"
15- 35 cal | .358"
19- 45 cal | .452"
Make bullet runout a thing of the past with the new Hornady Ammunition Concentricity Tool. 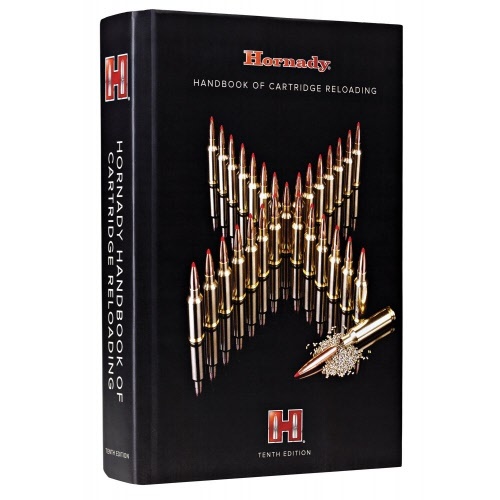 Hornady never ceases to find ways to provide unmatched accuracy in every facet of the shooting experience. The new Ammunition Concentricity Tool is the first tool on the market to both identify and eliminate bullet runout. Just place ammunition in the tool, roll it, identify runout, and use the dial indicator to adjust runout to zero! It can be used to true-up factory ammunition, too. Sorting ammo by rim thickness will provide ammo with similar ignition qualities for improved accuracy. This proven technique is used by competitive shooters & varmint hunters. 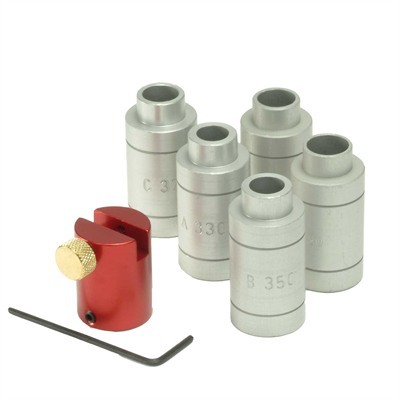 The rimfire gauge attaches to your caliper & includes bushings for use with all .17 & .22 rimfire calibers. Wear lanyard around your neck & attach caliper to promote safety. Calipers are good for measuring down to .001", but for actual bullet diameter for 1/10th of .001", you MUST use a micrometer. Also useful for checking expanders and any place an EXACT measurement is a necessity.